Muslims around the world are celebrating Eid al-Adha, the Muslim festival of sacrifice, which began on Thursday evening and continues until the end of the Hajj pilgrimage. The festival starts on the 10th day of the last Islamic month on the calendar, Dhu al-Hijjah, this year landing on Thursday or Friday, depending on the region. Eid al-Adha commemorates Muslim God Ibrahim’s sacrifice of his only son, Ishmael, to Allah as an act of obedience. Allah spared Ishmael after seeing Abraham's devotion and instead gave him a sheep to kill, according to stories in the Bible’s Old Testament and the Torah. 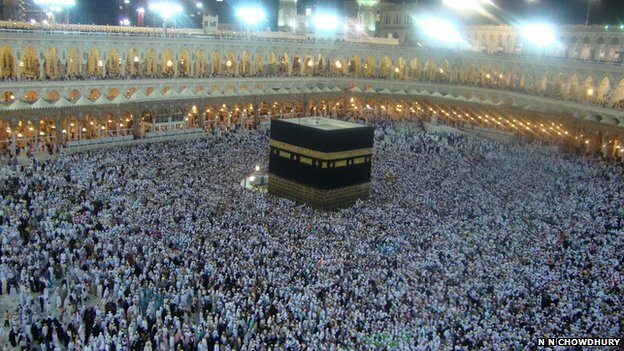 The three-day festival also marks the end of Hajj, the annual pilgrimage to Mecca in Saudi Arabia to Prophet Muhammad's birthplace. 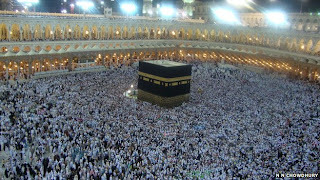 Muslims typically make the pilgrimage once in their lifetimes. On the Eid, many Muslims celebrate and pay tribute to Allah, who gave mercy to Ibrahim, going to a mosque for morning prayers followed by slaughtering animals. Much of the meat is given away to others as a symbol of Muslim’s willingness to give up on behalf of Allah’s command. The sacrificed animal is cut in thirds, with one third eaten in a celebratory dinner by family, one third offered to friends, and the remaining portion donated to those less fortunate. Eid Mubarak to all partaking in this great event; all thanks and praises are to / for Allah; the only One of His kind, Creator of all.